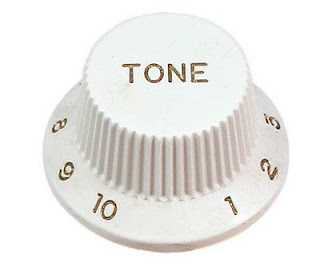 This is the first of a (I think) three part series on the writing element known as tone. Tone is one of those elements of craft that most readers know, they just don't know they know. It's also something that most writers kind of tear their hair out in thick clumps trying to get right. Think of the last time you read an e-mail from someone and you were just sure they were being snotty to you on the other end of that computer. How did you know that? It wasn't like you could see them rolling their eyes or hear them snorting derisively. Yet somehow, contempt just seethed off of the screen. Maybe you didn't know why you were sure of that, but you could just tell. Maybe you even called them on it, and they asked you what exactly gave you that impression....but you weren't sure, and re-reading it, you began to doubt yourself. Unfortunately for them the world is crawling with writers and English majors and careful readers and some people actually CAN point out exactly what word choices led to a written work's tone. While The Case of the Snotty E-mail™ might as easily be a reading comprehension error or projection, there is a way to know if it actually was snotty. And Detective English* can help you solve it! *Note: The staff has threatened to rise up, Hamilton style, if I actually make Detective English a character, so maybe best I let that one go. I can't risk them refusing to take free hashbrown vouchers from Denny's instead of paychecks, so my hands are kind of tied. When we talk about tone in literature, concepts often feel a little slippery, but they're really not. At first something like "the general character or attitude" reads as so impossibly vague that it could almost mean anything at all. Then you wonder what the hell your English teacher is on about, and flip the desk, throw your book, and stalk out into the warm summer air, only to be caught and given detention by the vice principle within minutes. All of which could have been avoided if there were just a Detective English to help you out. But there isn't a Detective English, of course. And I'm not even thinking of adding one. In fact, a lot of people can tell you what the tone of a piece is, but it is much more difficult for them to pinpoint exactly why they think so. And this lack of understanding works both ways. If someone is pissed off when they write something, unless they're a very good writer, it almost always comes straight through their writing, even if they didn't intend it or tried their very bestest best to be diplomatic. Even though we spend a lot of time talking about the power of nonverbal communication, our words do matter. And when you have no non-verbal communication (as in writing), words are the only way to convey tone. As writers though we have to control our prose (along with our urges to have Detective English be a character....apparently). We can't suddenly have four pages in the middle of a byzantine narrator's sentimental redemption arc go completely sardonic because we were annoyed at our landlord that day or a chapter intending to darkly explore death be light and whimsical because we got laid like woah right before we sat down to write. This is one of the reasons a very strong tone in a piece is considered particularly "literary." It often takes a careful hand and a rigorous regimen of revision to properly sculpt a tone that alters only when it fits the narrative. Learning to control the tone of writing first involves learning to understand how it radically alters a piece. Two works with identical plot points, characters, character arcs, and even themes and setting would be very different writing if their tone were radically altered from one another's. And this basically stems entirely from word choice, sentence style and length, and paragraph length. Short declarative sentences create a prosaic style. Punchy verbs sound stronger. Long sentences, with subordinate clauses in them create a more languid feel. Long paragraphs keep readers locked in single ideas for longer, while shorter ones create a clipped pace. Word choices can shape this as well. The difference between "furious" and "enraged" can change completely the way a sentence lands. Calling something a "falsehood" vs. calling it a "lie" casts a very different caliber of culpability on whomever said it. High vocabulary can be used to establish authority. Stripping out adverbs and adjectives can be used to create objectivity. Using lots of concrete descriptions will pull a reader into a moment. I will, of course, bring in written examples, but before I do, it may help if I show an example of a vast tone difference, and it might be easier to illustrate it first using music. Let's look at two versions of The Book of Love. The original by Magnetic Fields and the far more well known cover by Peter Gabriel. This is the same song. Same chord progression. Mostly the same notes. You'll recognize it immediately. Why are they so different? The first is a singer and a guitar. You can even hear the feedback from the speaker. His voice is low and there isn't a large vocal range. Everything is creating this mood of an amateur, maybe even impromptu, serenade. And the way the song lyrics end solidifies this. It's kind of a wedding proposal. But now look at the Gabriel cover. First bar. BAM! Full string accompaniment (I think an octet). No drums. No percussion. No brass. No woodwinds. Strings alone give the piece a very flowing quality. There's already a sense that this is not a serenade, but more someone speaking about universal truthiness of love. Gabriel uses a much larger vocal range, jumping octaves to let his voice soar and give it a more ethereal quality. A woman's joins him in the vocals increasing this effect. In fact, one of the lines that fits with the crooning serenade ("some of them are just really dumb") kind of sticks out like a sore cliche in the Gabriel cover since the mood is so gravitas. And suddenly you have the same song, same words, same chords two very, very different finished products that evoke entirely different feelings and imagery. There are other covers of this song, one by Airborne Toxic Event and another by Gavin James. Notice how they also use different instrumentation, slightly different melodies, different vocal stylings and a different tempo to create even different moods. The A.T.E. cover is a sad song with slow lonely vocals and a single violin. But the James piece (even without the hokey video) evokes more of a Americana feel because of the twangy guitar instrumentation and his folksy vocalization. The NIN song uses electronica to create a tone that keeps building and building behind the vocals. But there is also an atonal note in the lead guitar's refrain through the whole song. A sharp note that gives us the sense that something is very wrong within this song. The reverb is turned way up and he's practically swallowing the mic, so at first it's difficult to understand the words. As the song goes on, the volume ebbs and flows but keeps ramping inexorably up, and at the end he pulls further from the mic and you can hear the words (particularly "I will find a way"). There is a final drumbeat and heavy chords signalling a dramatic finality. Listeners have speculated that it's a song about suicide or maybe heroin, but whatever it is, the narrator is determined by the end. The Cash cover he is articulating far more clearly from the very first word. Every syllable is painfully enunciated, and you can't escape the meaning. At first, only his guitar accompanies him. Then a piano joins in, unison chords to start, but then creating a beat increasing in intensity. This song too builds up and backs off, and then builds up again with the piano becoming increasingly dominated by a single note on the beat. But Cash's version doesn't have the catharsis of the NIN song. It never resolves its final chord dissonance. His voice carries out over his accompaniment but that last strum and piano consonance never happens. It's just him....alone. And so the song in form and content ends with him....alone. Of course in music the elements that create the form are very different from notation, instrumentation, tempo. In writing we work only with language. We have word choice, sentence length and complexity, paragraph length, and a truly conscious writer can also work to use tone to dovetail with prose rhythm. But I'll get into that in part 2. Enjoy a few more wildly different songs. And here are just a few covers of songs that you're almost certainly already familiar with. Thanks for sharing about Tone in writing and using music as a guide to what you're saying to us.